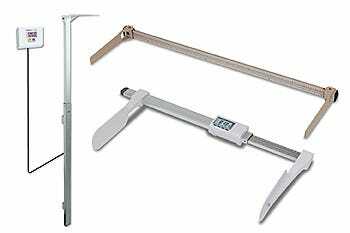 Detecto, an ISO-9001 certified scale manufacturer, markets a complete line of quality weighing products for the healthcare, foodservice and shipping/logistics industries. All Detecto Scales are made in America. Detecto's industry-leading physician scales are used every day in the medical profession by doctors and nurses around the world. 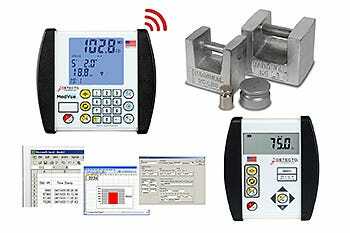 Each scale is USA-manufactured and built from sturdy materials that will provide years of accurate weighing. 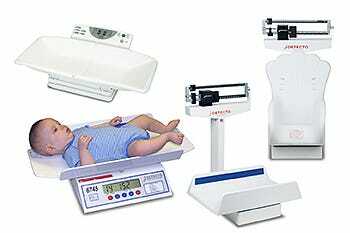 Detecto's USA-made bariatric scales allow healthcare professionals to easily weigh obese and unsteady patients. Weighing obese patients can present unique challenges, so Detecto also offers scales with handrails and seating for those who are uncomfortable and unstable on their feet. Weighing handicapped individuals, patients on dialysis, and the elderly can be a difficult and time-consuming task for healthcare professionals - and a stressful exercise for the patients. 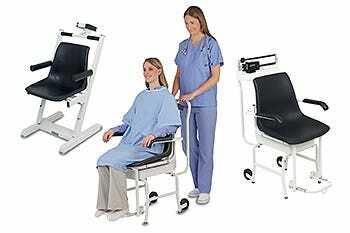 Detecto's USA-made seated weighing options simplify the process and are designed with patient comfort and safety in mind. 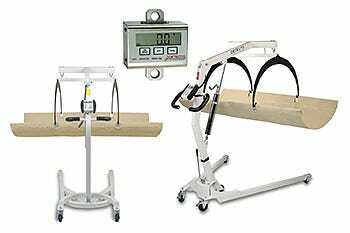 Patient lift scales are used to weigh bed-ridden and non-ambulatory individuals who are suspended by a patient lift mechanism. 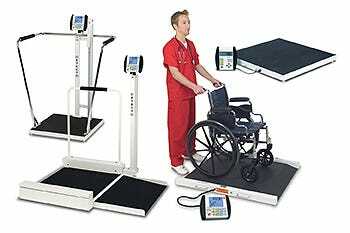 Detecto's USA-made patient lift scales are easy to operate. 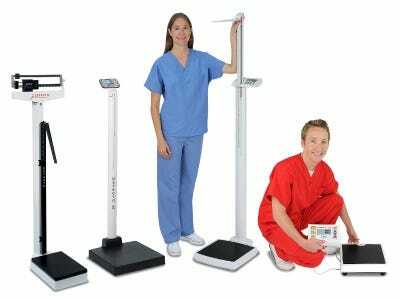 Patient Lift and In-bed scales are popular with nurses and doctors worldwide who need a convenient, secure way to measure bed-ridden patients. Detecto's pediatric scales are designed with active infants in mind, equipped with secure baby scale trays or seats that are easy to clean. Filtering features and weight lock keys provide accurate, convenient readings for physicians and nurses working with newborns and moving infants. Detecto's home healthcare scales are the top choice for home care nurses and mobile clinics. 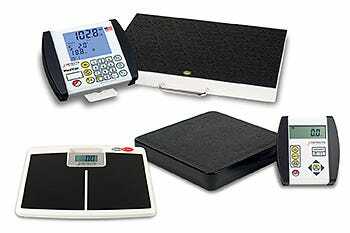 These portable home care scales are lightweight and easy to transport from patient to patient. 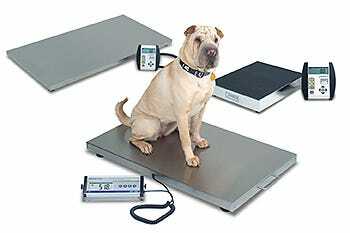 Powered by batteries or optional AC adapters, each medical scale is constructed with longevity in mind. All digital home healthcare scales also feature a slip-resistant mat for patient safety. Perfect for veterinarians, pet stores, kennels, and laboratories, Detecto's veterinary scales provide efficient, reliable results over other animal scales. Detecto's digital and mechanical stadiometers offer the same measurement accuracy that healthcare professionals worldwide have come to expect from a leading scale manufacturer. Choose from the lightning-fast digital models or the classic mechanical stadiometers. As the industry's leading scale manufacturer, Detecto is proud to offer a variety of printers featuring the same reliability and high quality that users worldwide have come to expect. Offering convenient scale operation and reliable, accurate measurements, Detecto's USA-made digital weight indicators lead the weighing industry. Detecto also supports integrated technology in hospital systems by offering Welch Allyn Connectivity software, to give a complete patient record with weight as well as vital signs. 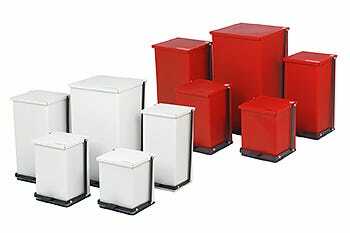 In environments where sterile conditions are essential, Detecto's USA-made waste receptacles keep facilities clean. Step-on cans have sanitary, self-closing lids and are the perfect choice for doctors' offices, hospitals, patient rooms, and laboratories.